Rolling Stone magazine is getting a new majority owner. Media investor Jay Penske said his firm Penske Media was buying a 51% stake in the publication from New York-based Wenner Media. The 50 year old magazine is best known for covering music and popular culture, but also features political journalism and commentary. Founder Jan Wenner started the magazine in San Francisco in 1967 with music critic Ralph Gleason. It has remained under the control of his company, Wenner Media, since then. Singapore-based BandLab Technologies also owns a 49% stake in the publication. No financial details were disclosed, but under the deal, Mr Wenner will be appointed editorial director. The magazine has been facing a tougher business environment of late, as the entire publishing industry adapts to a more digitally engaged readership. Mr Penske said he hoped to ensure that Rolling Stone "continues to ascend for decades across multiple media platforms". "Our interest in Rolling Stone is driven by its people, its cultural significance and the globally recognized brand that has no peer in its areas of influence," he added. 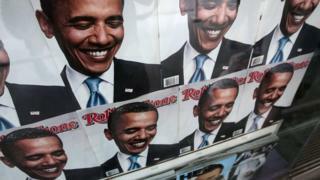 Rolling Stone has been a fixture of music commentary and US political life for decades. But it is also well known for its iconic front covers, which were for many years the ultimate symbol of a music act's success and relevance. It retracted the story in 2015, and paid out a defamation settlement.